Zeppelin museum is only one of the city’s attractions. Friedrichshafen has some more attractions to offer. Especially for aviation fans, the city is a great place. With the Dornier museum and the Zeppelin museum as well as a really great regional airport, there are some places to visit. Both museums offer insights into the beginnings of aviation, which you don’t get so easily. The Dornier museum is located directly at Friedrichshafen Airport and takes you on a journey through 100 years of aerospace history! 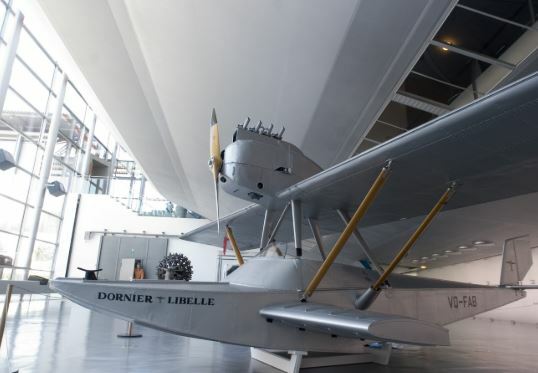 Huge flying boats, nostalgic passenger planes and exciting exhibits from space travel make a visit to the Dornier museum an experience for the whole family. The history of the aviation pioneer Dornier can be traced very well. With more than 400 exhibits, many aviation fans will get their money’s worth in the museum. 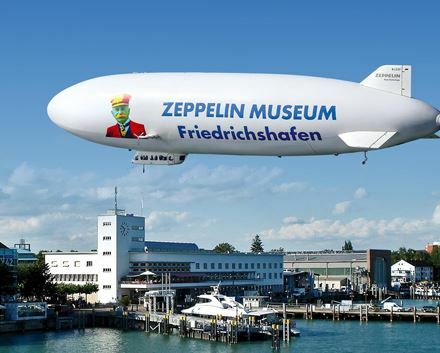 A visit to the Zeppelin museum is also a must in Friedrichshafen. One of the largest and most important collections on the subject of zeppelins. Numerous original objects can be seen – uniforms, technical rarities, cutlery, furniture and much more. Video films about the Zeppelin can be viewed. Right down to details about the crash of the Hindenburg. 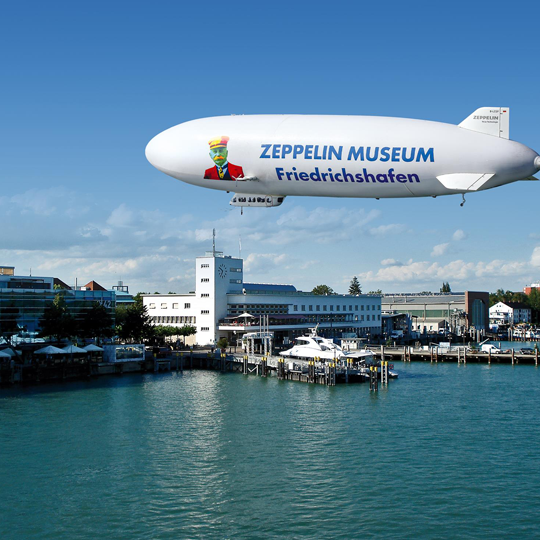 The Zeppelin museum, located directly at the harbour, has become a magnet for the public. From the landing stage of the catamaran it is only a few steps on foot to stand in front of the building. Here you can learn everything about the beginning of airship and even look into the cabins of a zeppelin. As a pilot, I am also a fan of the regional airport. There are only a few regional airports that offer such a high standard of safety on the one hand, but at the same time have remained easily accessible and kept the atmosphere of a regional airport. Friedrichshafen is very easy to reach by car, bicycle, train or bus and even by plane.